The international, Exynos-powered Galaxy S7 and S7 edge have had a working root method ever since a few days after release. But the North American variants—those using Qualcomm's Snapdragon 820 processor—have locked bootloaders, and have proven to be almost unrootable up until now. First up, be aware that this root method is in its early stages of development, so there are a few bugs and quirks. As a result of these issues, we recommend that you only try this if you are comfortable with restoring the stock firmware on your device. Working on AT&T and T-Mobile. May work on Sprint. Do NOT try on Verizon variants yet. Secondly, this root method will require that you perform a factory reset on your device, so make sure to back up all important data before you get started. 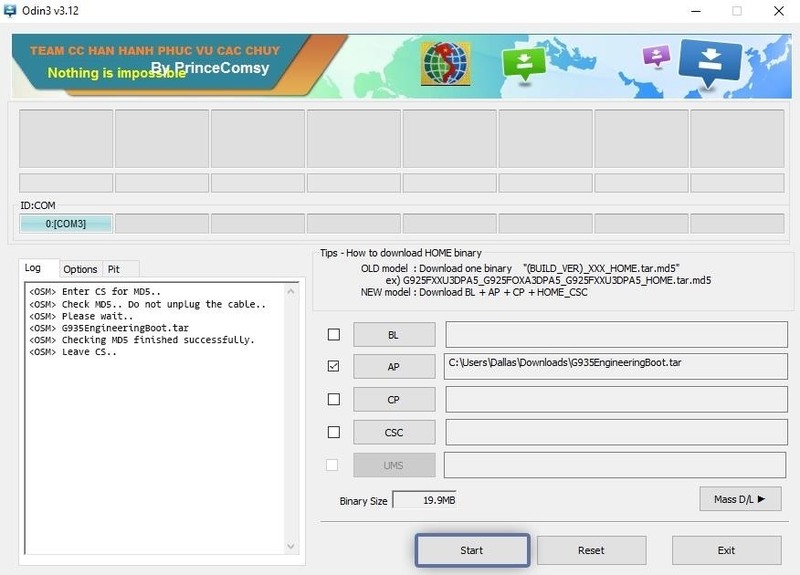 Beyond that, users have reported that this method does not trip the KNOX counter on the device, however it does cause Samsung Pay to stop working, which might be a deal breaker for some of you. Finally, this root method could theoretically work on all SD820 variants of the Galaxy S7 and S7 edge, but we have only confirmed it for the AT&T and T-Mobile ones. The Sprint variants have had mixed results, though you can refer to this XDA thread for workarounds for the issues it causes. As for Verizon Wireless users, we urge you to hold off on trying it out until a more stable root is available. If you are comfortable with these disclaimers, proceed at your own risk, but please be sure to read through the entire process before you take any steps to root your device. If you want to double check that you do have a Snapdragon processor, you can use a simple app to verify. To get started, there are two files you'll need to download to your PC. 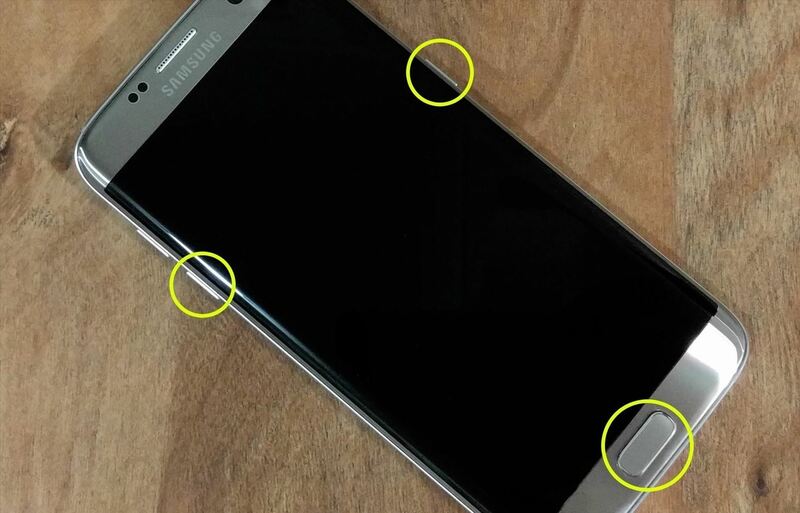 The first is an engineering boot image leaked from Samsung, which is what will make rooting possible later. Make sure to download the right engineering boot image for your particular model number. The second file is a modified version of Odin, the firmware-flashing tool for Windows, which was altered to enable the flashing of engineering boot images. Next, power your Galaxy completely off. When the screen goes black, press and hold the power, home, and volume down buttons. This will take you to Samsung's "Download mode" menu, where you'll need to press the volume up button to verify your choice. Once you've done that, plug your phone into your PC with a USB data cable. Back on your PC now, extract the ModifiedODIN.zip file that you downloaded in Step 1. 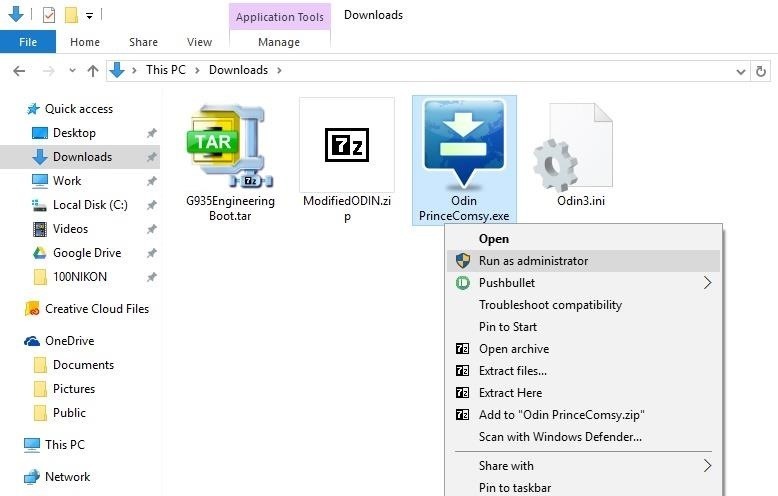 From here, right-click the OdinPrinceComsy.exe file, then choose "Run as administrator." Next, from Odin's main menu, click the "AP" button in the middle of the screen. From here, use the file browser menu to select the G93xEngineeringBoot.tar file that you downloaded earlier. At this point, just wait a few seconds until the Log tab shows a message that says "Leave CS." Once that happens, click the "Start" button at the bottom of the screen to flash the engineering boot image. The process shouldn't take very long, and when it's done, your phone will automatically reboot. When the phone reboots, you can disconnect the USB data cable. This part's a little hard to stomach, but it's in your best interest. You could potentially get away without factory resetting your device, but the vast majority of users that didn't wipe all data have reported issues. So you could skip this step and see if it works for you, but you'll probably end up wasting a lot of time if you don't perform a full wipe. After flashing the engineering boot image with Odin, your phone will have automatically rebooted. If it successfully booted back into Android, simply power the phone off to begin. Then, when the screen goes black, press and hold the home, power, and volume up buttons to enter recovery mode. However, if your phone is stuck in a bootloop at this point, you'll have to try a different button combination. First, press and hold the power and volume down buttons simultaneously to force a reboot. Then, immediately after the screen goes black, press and hold the home, power, and volume up buttons, and you'll be taken to recovery mode. From here, use the volume buttons to highlight the "Wipe data/factory reset" option, then press the power button to select it. Next, highlight the "Yes" option, then select it to perform a factory reset. When you're done here, reboot your phone by selecting the "Reboot system now" option. This first boot will take longer than usual, so give your phone 10-15 minutes to finish booting up. Once you've rebooted, you'll be greeted by Android's initial setup guide. Go ahead and log in with your Google account, then finalize the setup. There's an outside chance that you may need to perform another factory reset later in the process, so you shouldn't bother with restoring apps and things of that nature just yet. 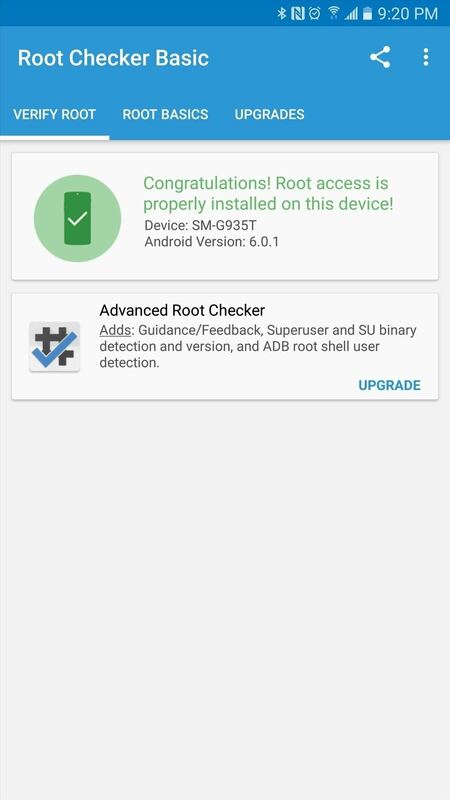 Now that you've successfully installed the engineering boot image and got Android back up and running, your phone is ready to be rooted. 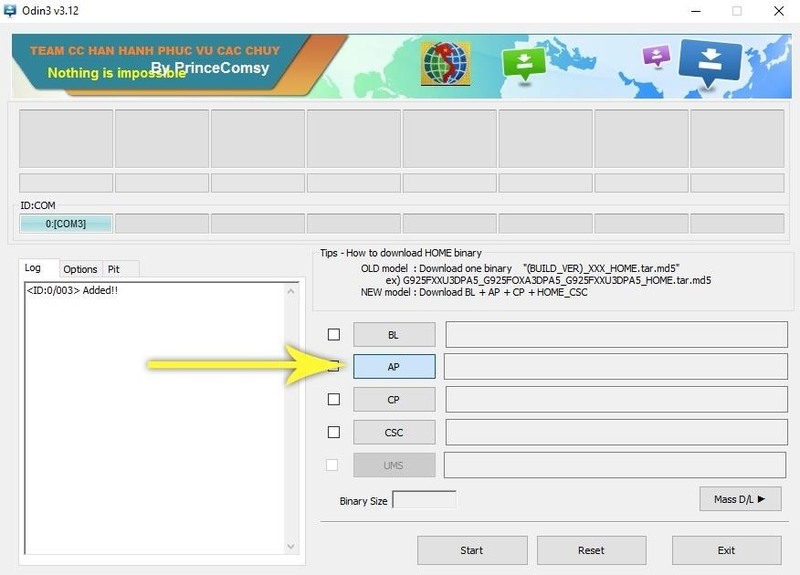 For this part, you'll need to install ADB on your computer, then enable USB debugging on your phone. Once you've taken care of that, connect your phone to your computer again, at which point you should see a message on your phone asking if you'd like to allow access from this computer. Tick the box next to "Always allow" on this popup, then press "OK."
Next, you'll need to download the files that will actually root your device onto your computer, which you can snag below. 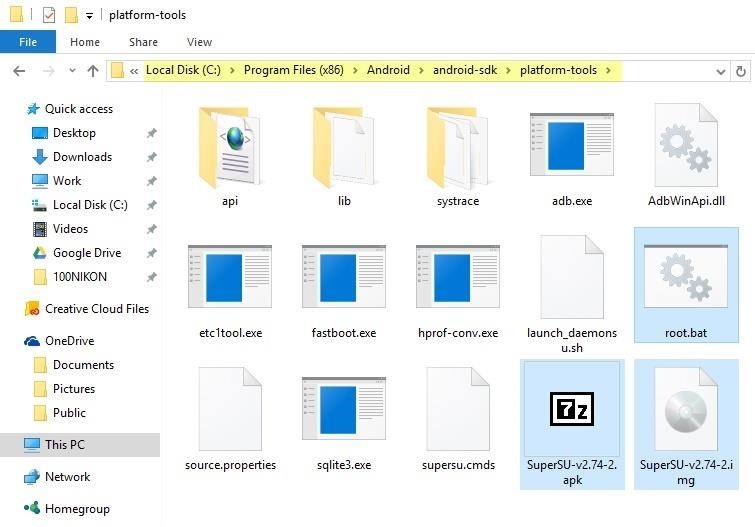 Once you've done that, extract the contents of the ZIP, then copy them over to the platform-tools folder in your ADB installation directory. For most users, this folder will be located at C:\Program Files (x86)\Android\android-sdk\platform-tools. 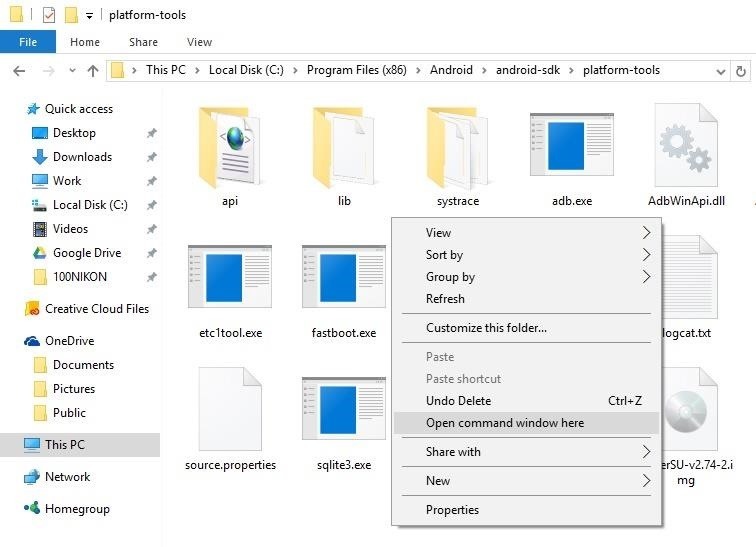 Once you've copied the files, hold down the shift button on your keyboard, then right-click any empty space in this folder. From here, choose "Open command window here." Next, simply type root.bat into the command prompt, then press enter. You'll see quite a bit of text scrolling by as the utility roots your device, and at this point, you'll almost be ready to go. 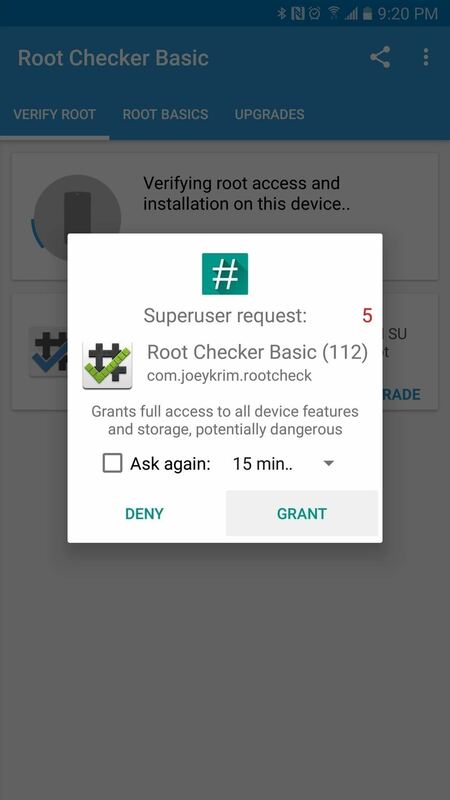 The root script should automatically reboot your phone when it's done, but if not, go ahead and reboot manually to finalize your work. If your device gets stuck in a bootloop at this point, you'll have to perform another factory reset, so refer back to Step 4 for instructions on that. Beyond that, it's safe to disconnect your phone from your computer at this point. As I mentioned at the beginning, this root method has a few quirks. For starters, you should not update the Superuser binaries, even if prompted by the SuperSU app. This is because the new binaries might not be compatible with this root method. On top of that, most users have reported that Wi-Fi credentials are lost upon rebooting. If you encounter this issue, install BuildProp Editor by JRummy, then change the ro.securestorage.support=true line to ro.securestorage.support=false. Then finally, T-Mobile users will probably notice a new RCS icon in their status bar that looks a bit like a thunder cloud. If you'd like to disable this icon, you can try flashing this ZIP with FlashFire. 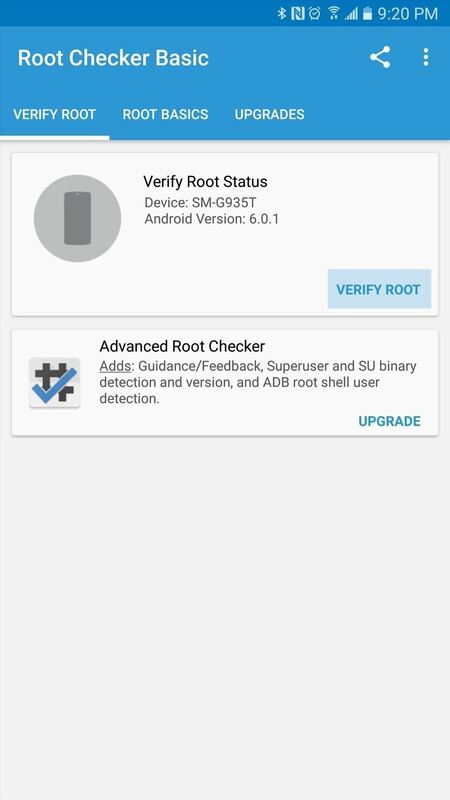 I had an issue with root on my phone, and was wondering if anyone had the regular boot img for the S7 unlocked model or a factory odin restore for the S7 Unlocked model (US). Thanks! This does work on the Sprint SM-G930P, but please don't do what I did and install the T-Mobile image. Not only will you really confuse the overpaid techs at your local Sprint store, but it only partially works. On the plus side, it did not trip Knox.